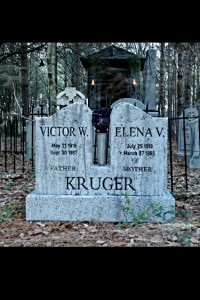 This beautiful Immortal Love Rosary Tombstone features a 2-level design. 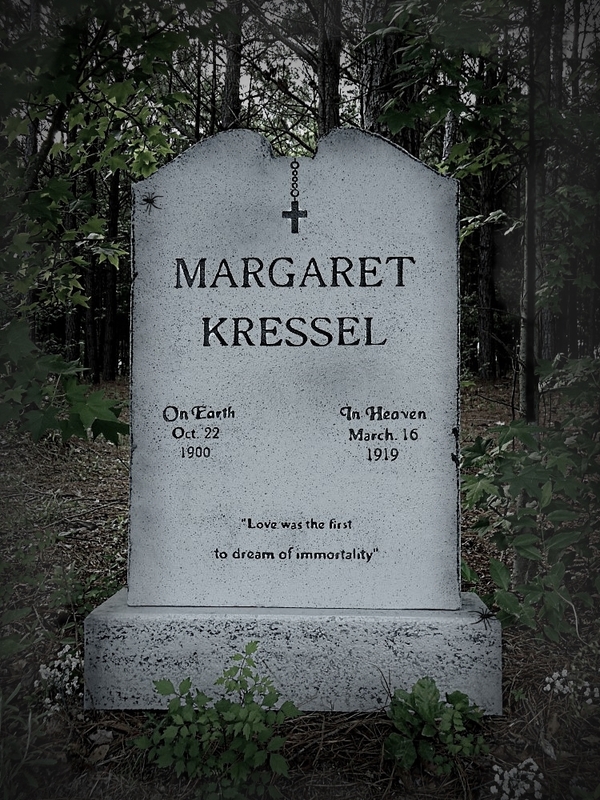 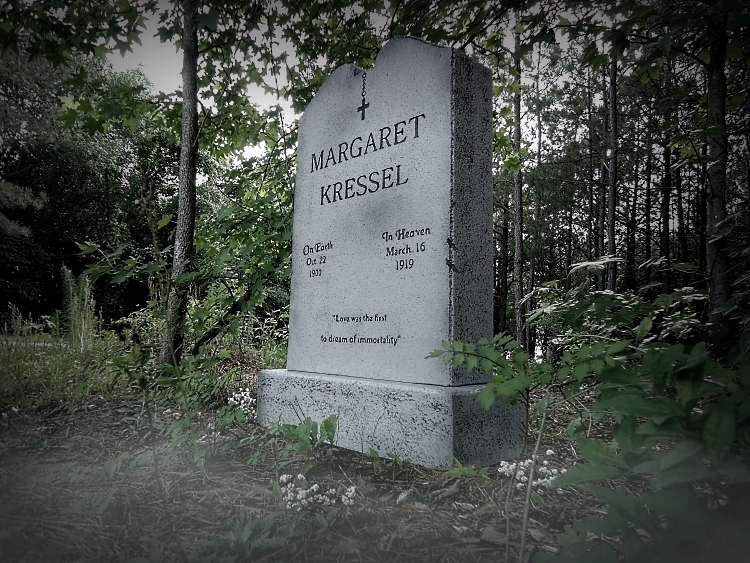 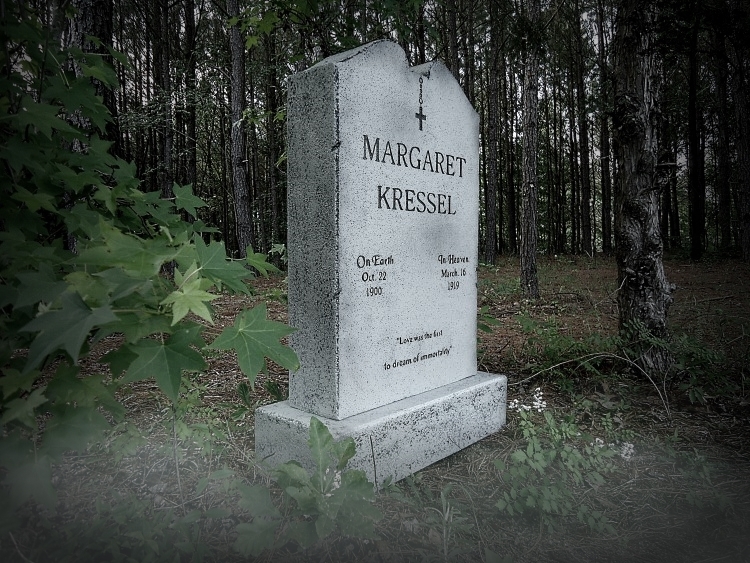 Engraved — MARGARET KRESSEL On Earth Oct 22 1900 In Heaven March 16 1919 Love was the first to dream of immortality — Bottom and top stones are 6″ thick. Measures a HUGE 37.5” H X 26” W X 10” D. Epitaph and Rosary are actually engraved into each tombstone NOT stenciled.